"Develop Confidence and Creativity in Your Playing!" This is an interactive guide for learning to play your 6 Hole Flute. Lesson 2 - The Native American Scale, Creating Your Own Melodies," Lakota Courting Song"
Lesson 3 - Ornaments Part 1 & Duration Part 1. 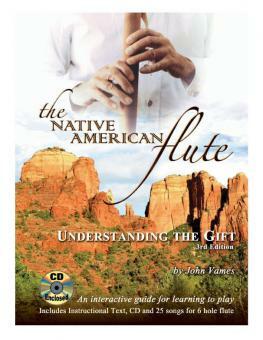 Lesson 4 - Ornaments Part 2, "Zuni Sunrise Song", Duration Part 2. Lesson 5 - Reading Music. Lesson 6 - The Major Scale. Useful Scales for Native American Flute.